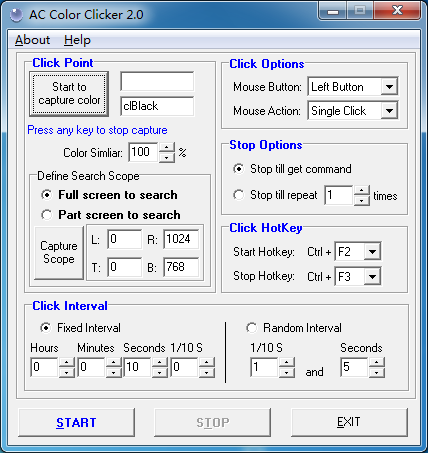 Color clicker can automate find out the color block on the screen and click it. Auto define color by move mouse on the screen. Auto find color on the screen and click it. Auto re-find and click at fixed interval or random interval. Define hotkey to start or stop auto click color.